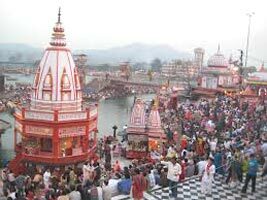 Haridwar the Gateway of the Lord Krishna is one of the holy places situated at the banks of Sacred River Ganga in Uttrakhand. 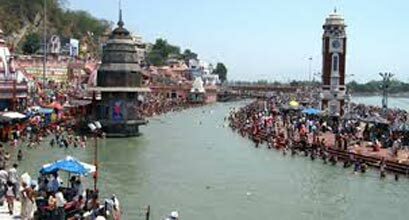 Thousands of pilgrim, devotees and tourists congregate in Haridwar to perform ritualistic bathing on the banks of the river Ganges to wash away their sins to attain moksh (salvation). Brahma Kund, spot where the amrit fell, is located at Har ki Pauri (footsteps of the Lord Shiva) and is considered to be most sacred ghat of Haridwar. Every evening Ganga Arti (river worshipping ceremony) is hosted at this Ghat in which tiny flickering lamps along with the flowers are floated down the Ganga River. The Kumbh ka mela which celebrated every 12 years is one of the biggest and most famous mela (fair) of India. Kanwar mela is the annually celebrated mela (fair). Accommodation for one night, second day breakfast, Train fare on air-conditioned chair car for both the way, Air-conditioned private car pick up and drop in Delhi and all transfers, excursion, sightseeing in Haridwar, English speaking local guide/Translator for the sightseeing, train fare on Express train ac chair car for New Delhi – Haridwar – New Delhi, meals provided breakfast or Dinner during train journey, state tax, parking, toll tax.ENTRY FEE, TIPS, AND PERSONEL EXPENSES. Morning Between 5.30 to 6.00 am Depending On Your Hotel Location, Transfer to New Delhi Railway Station to Board the Shatabdi Express for Haridwar. 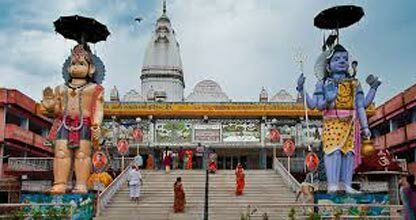 Our Representative Will Meet You At Haridwar Railway Station and Transfer to the Hotel. after Lunch (lunch On Direct Payment Basis) Visit Temples. Evening Prayer Ceremony At Hari Ki Pauri. Overnight At Hotel. ENTRY FEE, TIPS, AND PERSONEL EXPENSES. * Some Advance Percentage of total booking amount * Airfare/Transport fare to be paid full at one time in advance. * Payments Terms (To be corrected as per my earlier email of today)	* Some Advance Percentage of total booking amount * Airfare/Transport fare to be paid full at one time in advance. Golden Triangle Tour With Haridwar & Rishi.. 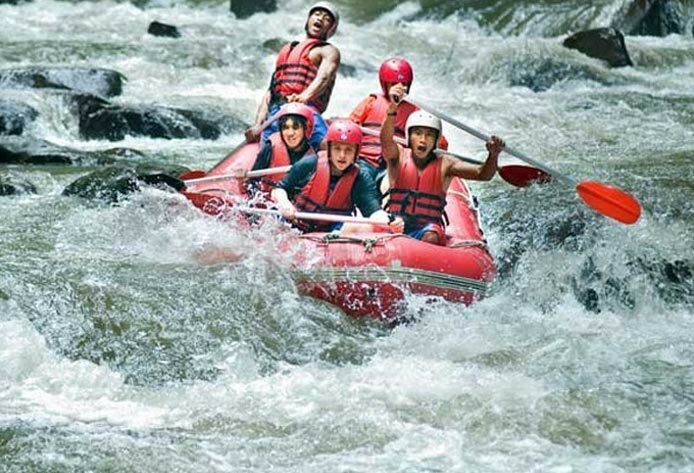 Destinations Covered : New Delhi, Jaipur, Agra, Haridwar, Rishi..
Haridwar Rishikesh With Mussoorie Tour Pac..